I have to admit, I was not enthused when I first heard about the concept of boating clubs. Do they operate like a timeshare? Would members be obligated to sign a long-term contract? How difficult is it be to get a boat when you want one? I have owned boats since my early 20’s. I love the freedom to take out my boat whenever, or wherever, I choose. The thought of giving that up to be part of a club seemed did not seem appealing. For starters, though I had far more questions than answers, I knew Freedom Boat Club must be doing something right. This was certainly no fly-by-night operation. 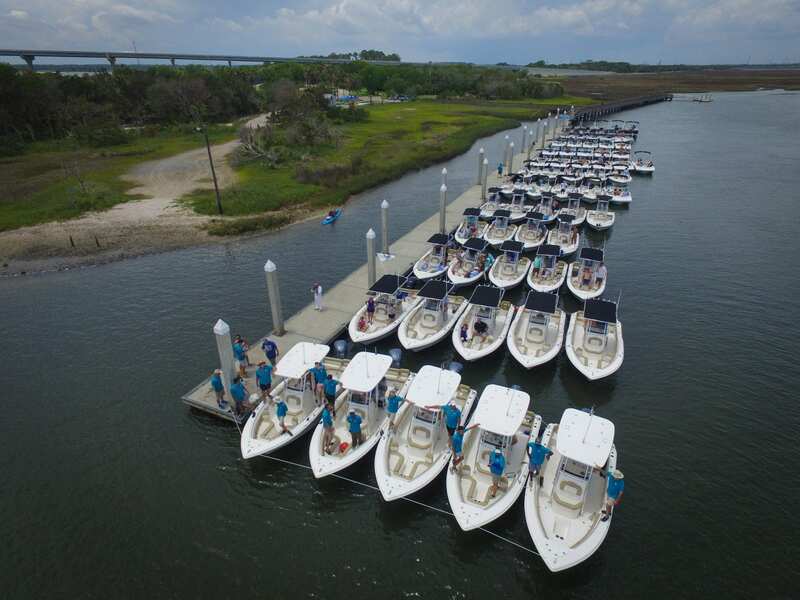 In fact, since originating the concept in 1989, Freedom Boat Club has been constantly adding new locations and members. That’s when I began digging into the details and asking many questions. While the hassle-free aspect of Freedom Boat Club was appealing – no cleaning, repairing, maintaining your boat — I found one aspect even more attractive – the various options. Look at it another way. Imagine if you had access to a fleet of clean, new cars, depending on your mood or needs: A two-door convertible for a sunny-day cruise; a four-door sedan for going to dinner with friends; a pickup truck for toting mulch for the garden, a large SUV for tailgating at a ballgame or taking the family on a roadtrip. That is one of the major benefits Freedom Boat Club offers that cannot be matched by owning a boat. How else could I take out a deck boat one day, a ski boat the next, and a center-console fishing boat the day after? And how would you know which style of boat you prefer if you didn’t have the chance to spend significant time at the helm? Boats vary greatly in performance, and also in comfort of ride and rate of gas used. Each of those factors can weigh heavily in individual preference. As a lifelong boater, and now owner of multiple locations of Freedom Boat Club, I am grateful that I got all the answers to my questions about boating clubs. And I am glad I don’t have to decide on one style or model of boat. I get to enjoy all of them. You might be surprised by what you learn. I was.